Nadia Brookes is Research Fellow at the Personal Social Services Research Unit, SSPSSR, University of Kent at Canterbury; and Fellow of the NIHR School for Social Care Research. She holds a master’s degree in social research and evaluation and is currently undertaking a doctorate in social policy. Nadia has a long track record of undertaking evaluative and applied research across a range of welfare fields, especially relating to health and social care in a mixed economy context. 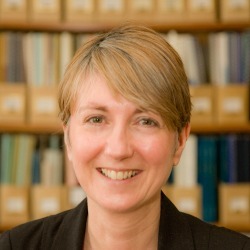 She has been employed in senior research roles in central government and the non-profit sector. At PSSRU Nadia currently conducts research into innovative personalised services and approaches, and leads on public involvement in research for the Quality and Outcomes of person-centred care Research Unit, the Policy Innovations Research Unit and the Economics of Social and Health Care Research Unit, across six universities. This project is funded by England’s National Institute for Health Research (NIHR) School for Social Care Research (SSCR) and is looking at the potential of adult placement schemes for older people. Nadia is co-investigator and responsible for leading on costs, outcomes, estimating demand and a formative evaluation of one scheme for people living with dementia. This project was funded by the EU’s 7th Research Framework Programme. It focused on the link between social innovation and local urban governance. Nadia was lead researcher for one of the UK research sites. This project was funded by the NIHR SSCR and examined progress with personalisation and innovative services and approaches to inform the future research agenda in this area. Nadia led on elements of fieldwork including work with social enterprises. This project was funded by the United Kingdom’s Ministry of Justice and focused on generating the unit costs of various criminal justice interventions. Nadia was co-applicant for phase two of the project, project management and supported various primary data collection activities.